The Vergilius Sangallensis is one of the major testimonies of Vergil's works. The fragments have been detached and collected in the fragment volume Cod. 1394. Two offsets are found in Cod. Sang. 63, and Cod. Sang. 275. 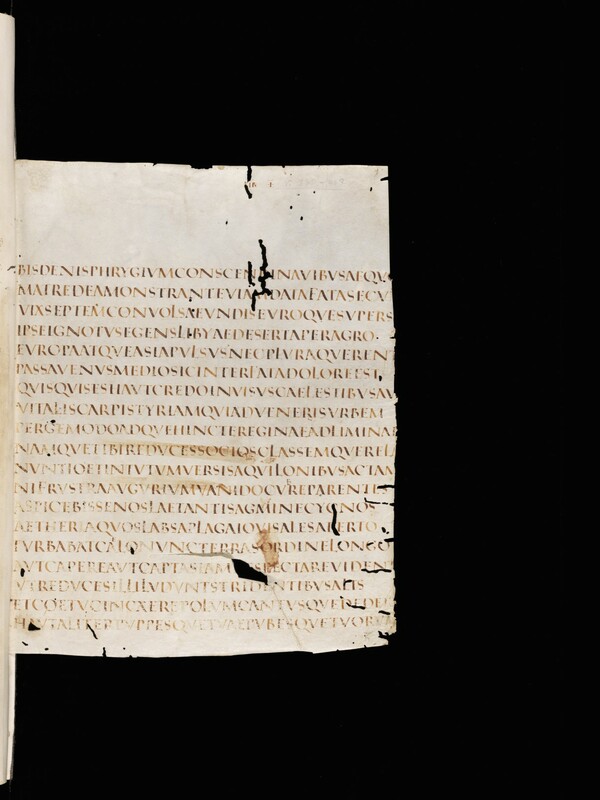 The Vergilius Sangallensis has the following content: Eclogues, Colophon; Georgics, Titulus; Georgics IV, 345-363, 365-381, 383-400, 402-419, 535-553, 554-566 (fine); Aeneid I, 381-399, 400-418, 685-702, 704-721; Aen. III, 191-207, 210-226, 457-474, 476-493, 495-511 (Cod. Sang. 1394 and offset in Cod. 63), 514-530; Aen. IV, 1-18, 20-37; Aen. VI, 656-659, 675-678, 682-684 (offset in Cod. 275), 688-705, 706-724 (Cod. 1394).